This post is written by my dear friend Brittney. She is a wealth of knowledge when it comes to baby carriers. Her blog is private, and when I saw this on there with so much amazing information I begged her to post it on my blog! My sentiments are Brittney's, I love my babies close to me. We are not a car seat carrying family. Car seats are for cars. That's it, in my humble opinion. 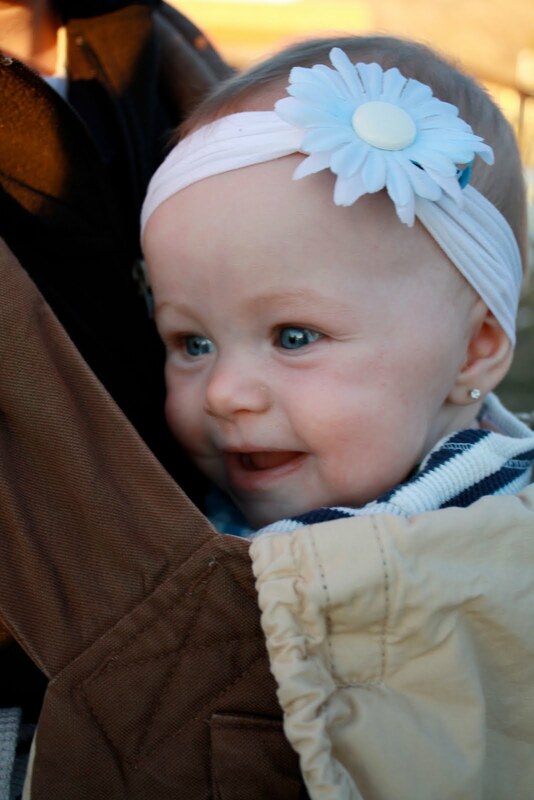 Enjoy this post and all the cute pictures of Brittney and her beautiful baby. I love baby carriers. I don't know what I'd do without them! I love having my baby close and having my hands free to do other things. While I'm intrigued by attachment parenting and the philosophies surrounding babywearing, I mostly do it for convenience purposes. Having a good carrier really makes my life as a mom so much easier! 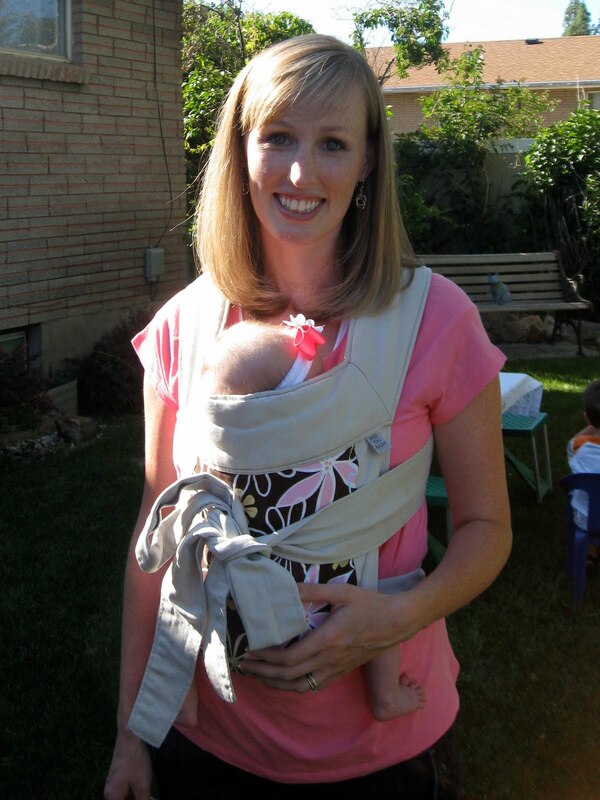 I started learning about babywearing in the months leading up to my son Matthew's birth. I knew I wanted a carrier of some sort, but I was only familiar with Snugli's and Baby Bjorn's. Somehow I stumbled across some websites that introduced me to a whole new culture surrounding pouches, ring slings, wraps, mei tais, hip-carriers, and soft-structured carriers. I discovered how seriously some people take babywearing - we're talking women with closets full of carriers, several of each different kind in various colors, patterns, etc. I became obsessed with researching styles, brands, and fabric options, reading countless reviews and browsing through forums dedicated to anything and everything you'd ever want to know about babywearing. Did I mention that I was a little bit obsessed? Yeah. My husband thought I was crazy. For some reason it totally consumed me. Maybe it was some part of my nesting instinct going wild. I felt an intense need to find the perfect carrier(s) for when Matt was born, as if my success as a mother of two depended on it. Lately I've had people asking me what I think about different carriers, so here's a run down on different types, what they're good for, and why they're a better option than the standard carriers you generally find in stores. I'll start with the "why." I've been rock-climbing enough to know that hanging in a harness is not the most comfortable thing. With most standard backpack-style baby carriers (aka soft-structured carriers), the baby hangs in a similar manner, placing their weight on their lower spine and crotch area. Whether they're facing inward or outward, they're just kind of hanging there w/ their legs dangling straight down. Some people say it can cause hip or spine problems and hinder proper development. (Check out this article if you want to read more about this.) 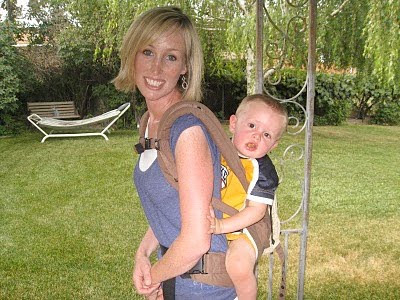 Of course, there are many people that have used carriers like this (myself included) and never had any problems... to me it just looks so awkward and uncomfortable! Since there are better options available, I like to use carriers that allow babies to be carried in a more natural position. It's recommended that babies be carried with their legs wider apart and their bum down, in a frog-like position - the way a baby is when he's straddled on your hip. Also, it's not recommended that babies face outward in a carrier because it's easy for them to become overstimulated. When babies are carried facing you they can still look around, but they can hide their face if they get tired or overstimulated. For people that insist that their baby likes facing outward best, it's possible to do with different slings and even some other soft-structured carriers that cinch at the bottom (like the Pikkolo) while still allowing for a bum-down sitting position. Another option is to do a back-carry, though that's not possible until the baby is older (6 or 7 months old). Now for the types of carriers... This is by no means a complete list. These are just the ones I've used and am most familiar with. Everyone says this is best for newborns, but I've tried it twice now with both Matt and Ari and only ever ended up using it a handful of times. 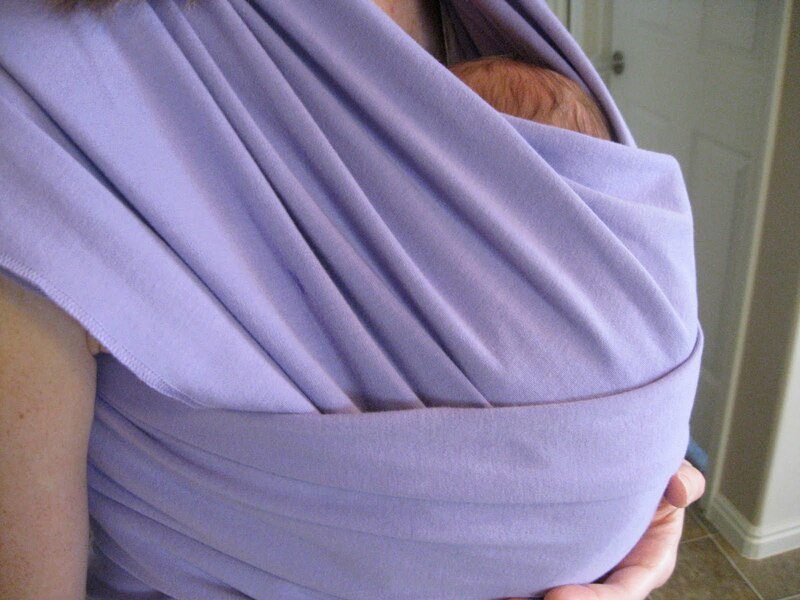 It consists of a long piece of jersey-like material that you wrap around you to hold the baby in place. It allows for a really snuggly carry, like the pouch, but the baby's weight is distributed over both shoulders and your back so it's comfier and easier to do for long periods of time. The backpack-style carrier is my favorite since for me it's been the one I get the most use out of, and David's willing to use it, too! Really, it's like a mei tai but with buckles, so you don't have to mess with the straps. Many come with sleeping hoods, pockets, and toy rings, which are nice little perks. The Bjorn and Snugli fall under this category, but like I said before, there are so many better options available - more comfortable, better for baby, and cuter! Basically they differ in the width and height of the fabric panel behind the baby, the amount of padding in the shoulder straps and waist, strap configuration, and of course, fabrics. Right now the Ergo is probably the most common, and it's the one I've used most with both Matt and Ari. It's shorter, so the baby's arms can be out, and it's a little more rugged than other options. I'm still using it for front carries with Ariana, but pretty soon I'll probably switch her around to my back. The great thing about this style of carrier is that, if you choose to, you can use them with kids up to around 40 pounds! They distribute the weight really well so you don't feel it like you might with other brands. I've never used a ring sling, mostly because they look a little too fancy for my taste. A lot of people really like how you can get a nice custom fit, and like pouches, they work especially well with small babies. For anyone wanting to learn more about babywearing and carriers, go to The Babywearer website. Once you register you can read all sorts of reviews and visit forums, including their "For Sale or Trade" forum which has some great deals on used carriers. Another good one-stop site to see a bunch of different carriers is Attached to Baby. Happy babywearing! Hey Bec. The pictures didn't work, which might be just as well. :) Let me know if you'd like me to resend them, or I can upload them to picasa or something on the web and you can pull them from there.